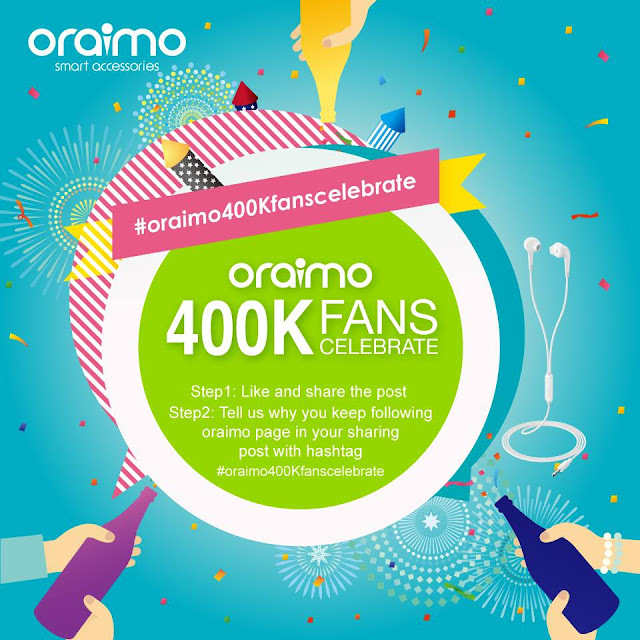 Oraimo recently reached a new milestone of 400 thousands fans on Facebook. We prepared FIVE gifts to express our gratitude. It is our little way to say thank you for following us and we are willing to enjoy smart life with all Ofans in the future.